“50’s Film” is your standard indie pop track influenced by an array of bouncy pop influences, but the band behind the song, The Da Vincis, is not your typical band. Their sound is mature and refined, yet the trio that make up The Da Vincis aren’t even old enough to hold a high school diploma. 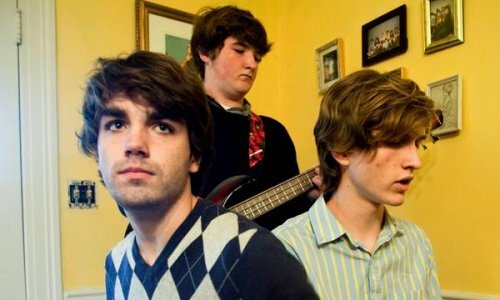 The juxtaposition gives their songs a special style of innocence, one backed by expertly pieced-together pop. Keyboardist Andrew Burke lends bouncy notes and deep tenor vocals to “50’s Film”, while Gavin Fields backs him up on vocals and pounds out impressive percussion. 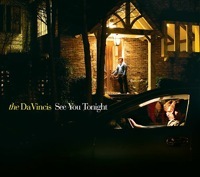 The Da Vincis is a band poised for greatness as long as their parents don’t impose an early curfew, so don your favorite argyle sweater (as this music is perfect for the attire): The Da Vincis will release See You Tonight on Olympic Records this coming October.